Why Choose In-Home Care Instead of Assisted Living? If your senior loved one is facing age-related complications, it’s likely you’ve been thinking about options to provide him or her with the best care possible. Though some families may opt for a nursing home, in-home care often has some additional benefits not found in assisted living environments. Healing involves the mind as well as the body. Home care allows your loved one to be in a comfortable, familiar environment, which can ease anxiety and promote peace of mind to help him or her recuperate faster. This is especially true for individuals with dementia since the stress of loud, unfamiliar environments can trigger cognitive decline. Studies also show people utilizing home care are less susceptible to illness, infections, and falls than those in assisted living facilities. 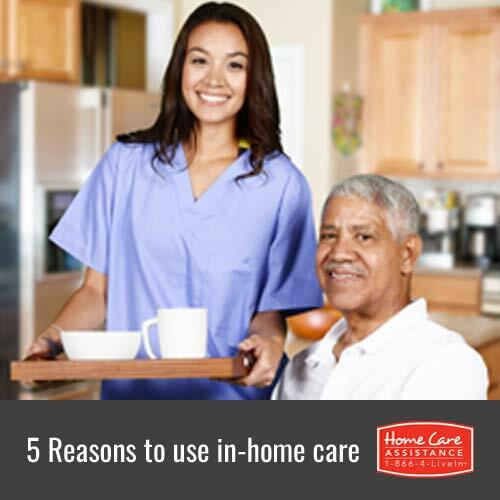 Home care allows your loved one to remain in the least restrictive environment possible. He or she retains more control over his or her physical environment and daily routine. Allowing an elderly family member to exercise as much independence as possible can help him or her maintain cognitive function and boost his or her overall mood and mental outlook. Assisted living facilities are often understaffed. This could make it difficult for your loved one to receive individualized care. Home care agencies, however, can tailor your loved one’s care to his or her particular needs. Guelph in-home caregivers have the opportunity to build a relationship with your family member, which makes it easier for them to notice slight changes in your loved one’s condition and to recommend other treatments or services that may be beneficial. Assisted living facilities in Canada can range from C$1,500 to C$5,000 per month. Home care, on the other hand, typically costs an average of C$25 to C$35 an hour, which is especially beneficial for seniors who only need assistance a few hours a day or a few days a week. Many assisted living facilities are designed for individuals who are relatively mobile and independent and may not offer specialized care for people with Alzheimer’s and other forms of dementia, for instance. The majority of home care agencies train employees in dementia care and Alzheimer’s care in Guelph, and many do not charge extra for these services. We know your loved one’s health and happiness is important to you, and you’ll want to ensure he or she stays safe and comfortable when receiving high-quality in-home care. For senior home care Guelph families can rely on, turn to Home Care Assistance. Our caregivers are dedicated to promoting your loved one’s quality of life and are available 24/7 to assist with a wide variety of daily tasks, including cooking, bathing, exercise, and light housekeeping. For more information on our senior care services, call one of our qualified Care Managers today at (519) 954-2111 to schedule a complimentary in-home consultation.